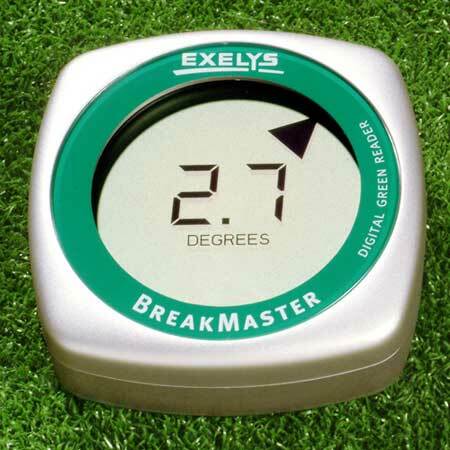 The BreakMaster is a digital level that measures the slope of greens on a golf course. The BreakMaster displays the Break Direction (via the Arrow display) and the Break Amount (via the Number display) which reads in degrees, up to 9.9 degrees of slope. • Dimensions: W: 3 1/16" D: 3 1/16" H: 1"